AIDS is a devastating condition caused by the human immunodeficiency virus — HIV. 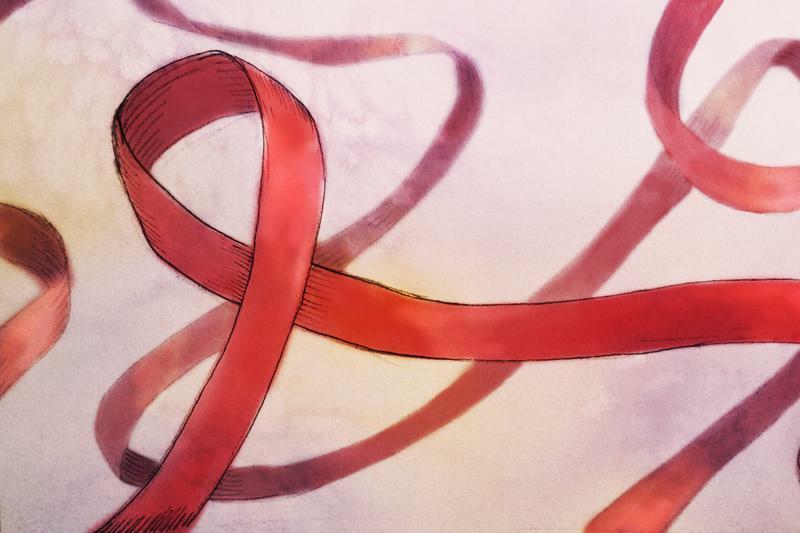 What makes HIV particularly deadly is that it attacks the cells that make up our immune systems, leaving patients susceptible to other infections. It is often these complications that ultimately lead to the death of patients. Needless to say, the global burden of HIV infection is huge. There are more than 35 million people around the world who are currently living with HIV infection and close to 70 per cent of them live in Sub-Saharan Africa alone. There remains no cure for the disease. Despite the challenges, Dr. David Moore, a UBC associate professor and a researcher at the BC Centre for Excellence in HIV/AIDS, is part of a group of local scientists who are determined to help change the status quo. One of the reasons why HIV is so difficult to eradicate is that the virus hijacks our own cells as part of its replication cycle. Consequently, patients with HIV are often placed on antiretroviral therapy (ART), which consists of a cocktail of drugs designed to target various steps of the cycle. However, these drugs are merely meant to delay the progression of disease and patients are routinely monitored to check the viral load, the amount of virus that can be found in the body, and ensure that their immune systems remain adequate. While developed nations like Canada and the US have the resources to continuously track HIV patients over time through laboratory testing, the same cannot be said for other countries. To solve this issue, Moore worked with researchers in Uganda to help streamline the monitoring process. Moore and his team focused mainly on whether it is necessary to monitor both the viral load and the immune cells targeted by HIV called CD4+ T cells. They found that while CD4 monitoring was important for predicting death and serious illness, viral load monitoring provided little additional benefit. The results of this study suggest doctors only need to monitor CD4 cells and not the amount of virus in a patient on anti-HIV drugs in cash-strapped countries. More recently, Moore was part of a study that examined the potential of using mobile phones to reach out to HIV patients and other community members. Unlike other studies, which focused on large urban centres, Moore and his team wanted to assess the potential responsiveness of rural Ugandans to text messages as a form of healthcare intervention. This is especially important for HIV patients receiving ART since the success of therapy depends mainly on patients’ willingness to adhere to the medications. In surveys, they found that up to 70 per cent of individuals from a rural Ugandan population were literate and had access to cellphones. These individuals responded positively to the idea of receiving text messages from healthcare providers as a way of checking the patients’ conditions and encouraging them to take their drugs. “In other words, roughly two-thirds of our study population could benefit from a mobile phone intervention. More broadly speaking, mobile phones may very well be under-utilized in terms of reaching rural parts of Africa, where most patients with HIV actually reside,” said Moore. The results of this research may have important implications in terms of future HIV outreach efforts, and improve treatment compliance for patients receiving ART in countries where healthcare providers are limited and physical check ups on patients remain difficult due to accessibility issues. Ultimately, Moore hopes that his research will help improve the standard of care for HIV patients in living in Canada as well. This is particularly true for Vancouver, where HIV prevalence is nearly six times higher than the Canadian average. Students can find out more about projects carried out by UBC researchers through the BC Centre of Excellence in HIV/AIDS. In addition, the Canadian AIDS Society offers free consultation service for questions related to HIV exposure, testing as well as treatment.